Atom-Bomb Bikini: On the Air! Hey all, I'm happy to report that I'll be a guest on The Hockey Show this very afternoon at 5:30 CST on Winnipeg's WMUM! 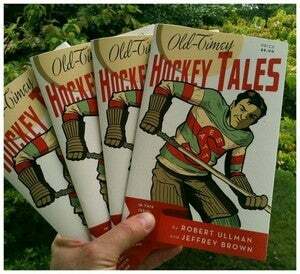 We'll be talking about comics, Old-Timey Hockey Tales, the Penguins and hockey in general, all kinds of stuff. Please tune in! Having a great time with Rob on the hockey show.